Today, more than ever before, boating electronics can be found at great prices. It’s way easier to get more value for your dollar! If you are interested in purchasing a new fish finder for 2016 and your budget is $200.00 and under, there are a couple of go-to options available that are waiting for you to take advantage of. Fish finders that are being offered at this price tend to vary in pixel resolutions. They have a great full color screen that range in size from 3.5” up to 5”, great dual beam sonar capabilities, and use advanced sonar imaging technology, like DownVu, DownScan, and Down Imaging. These three well-known brands have introduced three fish finders that have been considered to be the best of the best in their category. Ever since they were introduced on the market, they have been selling like hotcakes. We are talking about the Echo301dv by Garmin, 197C DI by Humminbird, and Elite-3x DSI by Lowrance. Since they have become the go-to options, we decided to compare them so that you can decide which one best meets your preference. Which Is the Ideal Fish Finder? This is the million dollar question. To start off, the Elite-3x DSI is the most affordable of the bunch, but it lacks the 2D sonar that the other units have. On the other hand, the Garmin’s modelis the most expensive. (It’s important to note that the mounting bracket has been noted to have a couple of issues.) To know the 411 on the differences in these units, keep on reading. Every one of these units comes accompanied with an instruction manual, power cable, plastic swivel mounted base, transom mount transducer, LED backlighting to provide optimal daylight viewing, 320 x 240 pixel counts, 3 ½” color TFT screen, and they all have a built-in water temperature reading. The 197C DI unit, in particular, is capable of being dash mounted. The Garmin model has a full QVGA color while the Lowrance and Humminbird units have 256 color. Imaging sonar is something that all of the three units offer. Garmin offers DownVu, Lowrance offers Down Scan, and Humminbird provides Down Imaging. The imaging quality between these models is very similar. It’s up to you to decide which one best meets your ideal when it comes to price. The main difference between the models would have to be that the Elite-3x DSI unit is only limited to Down Scan imaging, which means that traditional 2D sonar will not be attainable. This means that you will fish worse but see structure better and have a lower max depth. For this reason, if these things are important to you, you’ll have to make a choice between the 197C by Humminbird and Echo 301dv by Garmin. In 2015, the Helix 5 series was presented by Humminbird. It has been selling like hotcakes, as it has a resolution of 800 x 480, and its size is 5”. Especially in the widescreen layout, sonar looks wonderful on this new display from Humminbird. Accompanied by the bright new screen, it also provides the XNT9 20 T transom mounted transducer and the temperature to the unit. It’s important to note that the transducer outputs an 83/200kHz Dual Beam sonar. Since this unit boasts a target separation of 2.5”, this makes fish stand out from the weeds and from the bottom. Just like those expensive fish finders that are available on the market, the Helix series comes along with a solid gimbal mount bracket. This unit has a resolution of 480 x 270 pixels, LED backlighting, both DownScan Imaging and CHIRP sonar (can be viewed with the DownScan Overlay mode (a Lowrance exclusive), or can be viewed in a split screen), and a 4.3” screen with 16 bit color. Its resolution is okay but not at the level of the Helix 5. When it comes to CHIRP sonar, it is able to improve target separation on the screen, especially when it comes to deeper water cases. The DownScan Overlay is a feature that combines the best of both DownScan sonar and 2D, which results in a hybrid picture. To help distinguish objects and fish within the same screen, it overlays the structure revealing ability of the DownScan with the 2D sonar. To make a wise purchase when looking at your 200 and under fish finder, it’s important that you ask yourself which features are important to you when it comes to fishing. Want Higher Resolution and a Larger Screen? If yes, your best bet would be the Helix 5 Sonar by Humminbird, as it has three times the number of pixels than the other models, and it has a five inch screen that is very bright. If yes, then you should go for the Elite-4x CHIRP by Lowrance. This model can display traditional Downscan and sonar, either in overlay mode and split screen. All three models have identical screen, but only the Echo 301dv and the 197 DI have down imaging sonar and regular sonar, but the ideal option would be the 197C DI by Humminbird. Take Advantage of This Steal! At the moment, all of these models are under $200.00 USD. This is definitely quite a steal, which is why they keep selling at great numbers every day. 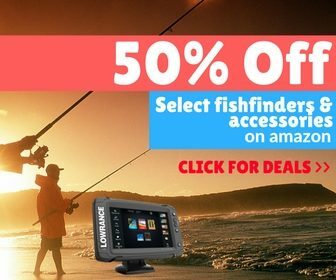 If you have been wanting to buy a fish finder that has top-notch features, that is from a well-known brand, that is at an affordable price, and gets the job done, any one of these will do.